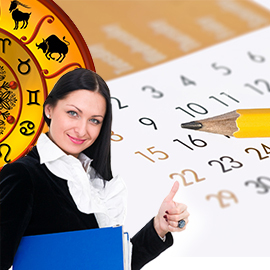 Electional astrology is the technique to find the opportune time when the favorable planetary energies will be supportive to ensure maximum success and satisfaction for the important and memorable occasions in one’s life. It is also known as event astrology. For rituals like engagement, marriage, and nuptials birth details for both the individuals is taken into consideration. Each moment of time is infused with certain energy dimensions that add to the auspiciousness or inauspiciousness of an activity undertaken during that time. Electional astrology is the technique to find the opportune time when the favorable planetary energies will be supportive to ensure maximum success and satisfaction for the important and memorable occasions in one’s life. It is also known as event astrology. Star or Nakshatra – Nakshatras are the 27 divisions recognized by the ancient Indian astronomers. Each of the Nakshatras covers 13 degrees and 20 minutes of the zodiac. Yoga – Union of Sun and Moon gives Yoga. There are 27 Yogas. Weekday – The time between first sun rise to next sunrise is called a day. The days are symbolic of the ruling planetary energies. Karana – Karana is one-half of a Moon Phase, for eg: the first 12 hours of New Moon, the final 12 Hours of New Moon, etc. Study of the above 5 factors would ascertain the favorable and unfavorable aspects of a day. Vedic astrology gives utmost importance to the selection of auspicious time (good muhurtha) for the Pancha Dasha Karmas, i.e., 15 rituals prescribed in Hindu tradition for the well being of an individual. The rituals from 9 to 13 are not much in use now since they are mostly performed by teacher for the welfare of his disciples. The 16th Karma, also called as Shodasha Karma, is the Antyesti. This has to be performed by the sons of the native after his death to provide peace to the soul in the heaven. Muhurtha indicate the relationship between the planets in the heaven and the human beings in the earth to carry out their daily chores. Not only the 15 Karma envisaged in the ancient days, we find more important activities in our day to day life in modern days. Some events will be indicating one’s compatibility with the planetary influences prevailing on a particular day and there are some events which indicate the compatibility of all the persons involved in a particular process at the selected time. Sometimes we may not able to postpone certain events due to practical reasons. It won’t be wise to defer the matter which will affect the profitability/benefits of a matter. Under those circumstances, we will have to go for semi auspicious time. Lagnam 06-30 to 07-30 AM LEO – Fixed Lagna fixed: But the 12th house is not free from malefic effect. Mars is occupying the 12th house. But it is in debilitated position. Even if we change the Lagna, the Sun which is more powerful in Leo will be influencing the 12th house. Therefore it is good to do remedy to Mars lord and to carry out the things. Fire ritual to Mars is recommended. NOTE: The star compatibility with the individual’s chart is not done here. If there is incompatibility, it will also require remedy.